On the 31st of July 2015, Google Play reduced the minimum purchase price of in-app items in India and finally ‘de-linked’ in-apps prices that were pegged to the $US. That move totally made sense. Especially in a land like India where billions of people are used to ‘nano consumption’ while paying micro nano prices! 2 cents in the USA. 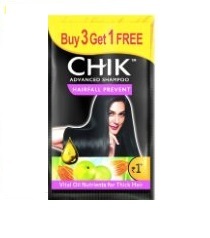 In India, 75% of ALL Shampoo Sales are via this SKU! 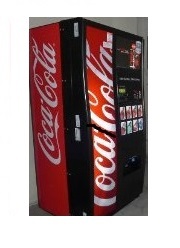 In the US, I have routinely paid or rather ‘fed’ a crisp $US 1 bill into a soft drinks dispenser machine (usually on the hotel floor) to spit out a can or bottle of Coca Cola. In India, we stock Coca Cola bottles across our office floors for our employees. These cost about Rs 10/- each (200 ml). So, a single serve drink of coke that costs $US 1 in the USA costs Rs 10/- in India. Or $US 1 = Rs 10?! How we wish that was so simple (or true)! Now, using the official rate, would anyone in India buy a Coke Can or Bottle in India for Rs 66? Obviously not! If you buy Coke Zero cans in bulk from supermarkets, you can get them for Rs 30/- each. Would that mean that $US 1 = Rs. 30? The point I am driving here is that while the ‘official’ rate of two currencies are decided between governments and central banks, there is a softer, market driven, ‘right’ consumer price. One can think of that price (let’s define Purchase Price Parity here) by comparing what 2 identical consumer goods would cost in any two countries as that time. The Economist’s “Big Mac Index” is the most exquisite study in this field. It doesn’t require Einstein to tell you why the Coca Cola Company has priced its Drinks between Rs 10-Rs 30 in India whereas they cost the equivalent of Rs 66 in the USA. It’s based on the ability of consumers to purchase goods basis their level of income based in those countries. Simply put, an attempt to price things ‘equally’ a la attaining “Purchasing Power Parity”. I’m not a Coke Employee and nor do I profess to be an expert Economist. I am a mobile gaming entrepreneur, with the ambition to make the best (most fun) mobile games in the world. And in doing so, I hope to get rich too! If you have played free mobile games, you may have noticed many ‘in-app’ items within the game that sell for real money (power ups, spells, vanity items). In case your wondering, yes – people DO pay for silly stuff like the kind you find inside Candy Crush. How much should the in-app items cost? Notice that the US$ 1 = Indian Rupees 65 in action. This was the default setting in Google Play. Come 31st July and with the introduction of ‘minimum pricing’, developers like us acted immediately and drastically reduced our in-app prices to a more realistic Indian Rs / US$ PPP (Starting with 1 US$ = Rs. 10 and upwards) in many of our games). Obviously, we expected in-app purchases to increase given the drastic reduction in prices. The question was, to what extent? So, did that mean that we retired, went to the beach and wrote down this post? For a moment it looked like Christmas had arrived in early August, but ultimately we discovered that Revenue increased by a humble 10%. This one experiment compelled me to create the following simulations to prove what we all know but haven’t tried : With the reduction of prices down to the basic affordable level of Purchasing Parity, there IS a strong case to drive CONVERSIONS UP rather than price. Outcome : Revenue moves up 35%, all things being the same! 4. One last one – Pushing the bar to highest level, what happens if we improve in-app conversion a wee bit more to 1% (the global western average is 2%), make consumers enjoy downloading 1 extra free game a month (natural effect of reduced in-app prices), and just make them pay Rs 1 extra (2 US cents)? Outcome : Boom Boom Boom! We improve revenues in the Eco-System 122% upwards. Does this work in Brick & Mortar? I spoke to the biggest guru in marketing I know – Shripad Nadkarni who had headed Marketing in India for Coca Cola (responsible for the 200 ml Coca Cola bottles in my office!!) and Johnson & Johnson; and quizzed him about how this strategy would pan out. For instance, in the case of the Rs. 5 Chota Coke offering (200 ml), Shripad and his team at Coca Cola India had figured that consumers needed 200 ml as just the ‘right’ amount of serving to satiate their thirst via a cold drink. That allowed Coke to reduce the size of the SKU and then offer it as a Rs. 5 surprise price! The Category as we all know just took off post that. Shripad said, “The insight of perfect serve quantity is what we took and leveraged it with the right price as an offer. – Push shove and leverage PPP. Make consumers enjoy your products, consume and spend just a bit more… The compounding effect is gargantuan! Caveat – I have not been incentivised by Google or anyone else to write this!